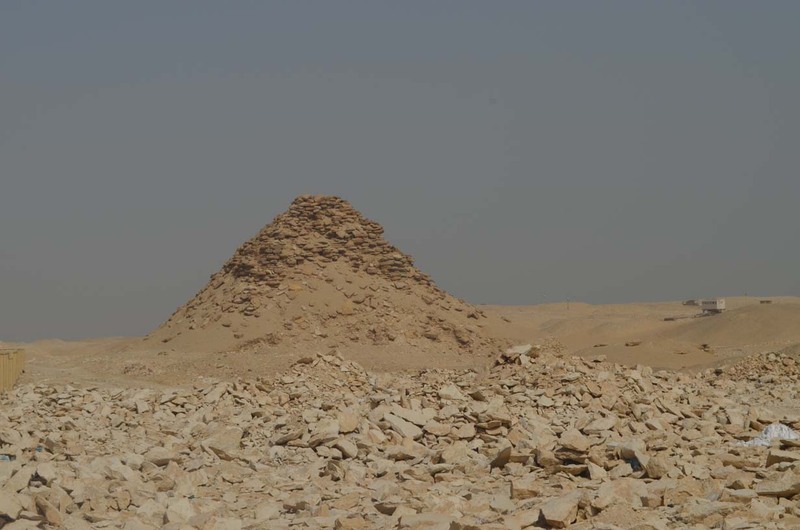 Pyramid of Userkaf , the founder of the Fifth Dynasty, was discovered by the English archaeologist Ceci M. Firth in 1928. 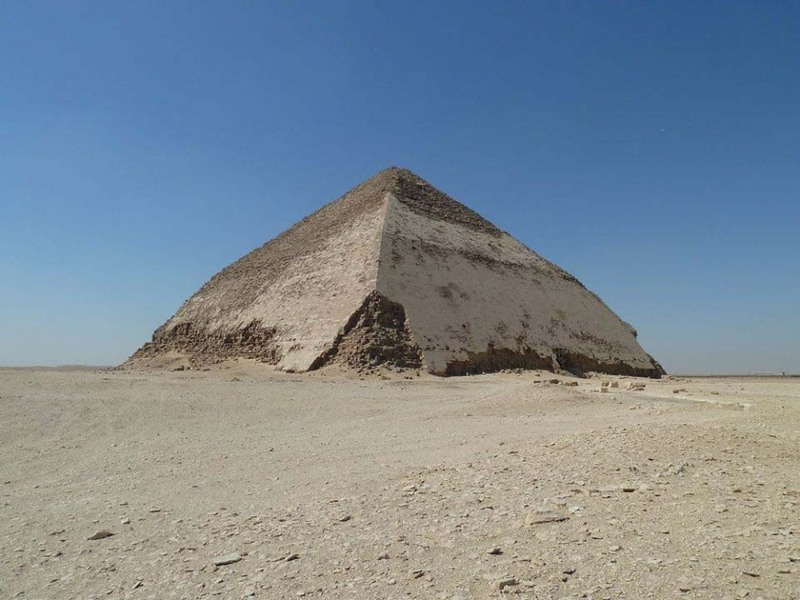 This pyramid is located to the northeast of Zoser’s complex. 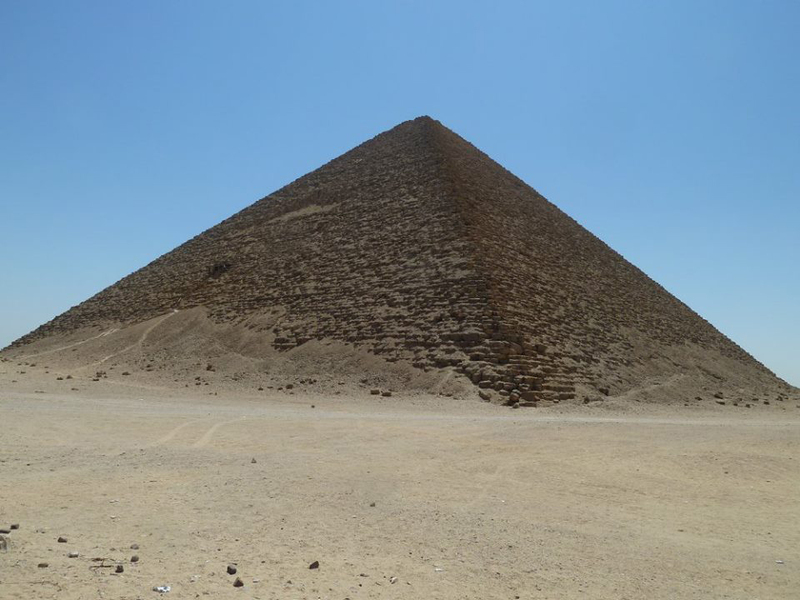 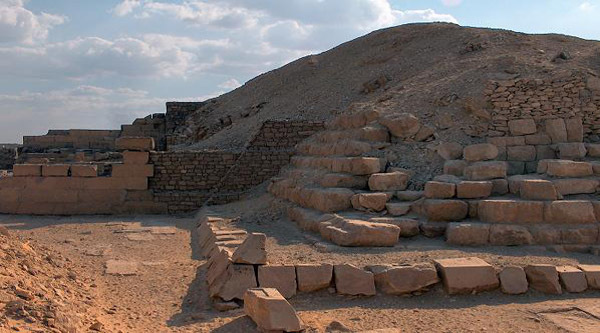 The pyramid was built out of local limestone blocks covered with Tura limestone. 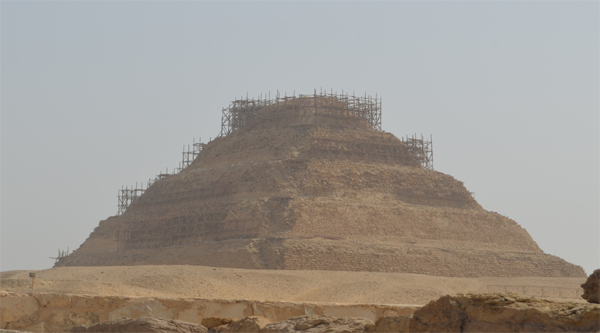 Now the pyramid is in a really poor condition. 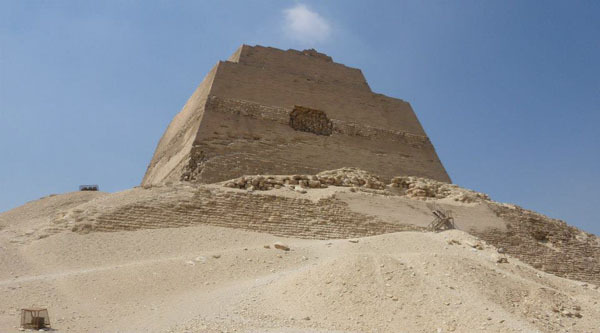 But once it was built it had a funerary temple located on its south side and the satellite pyramid to the south-west. 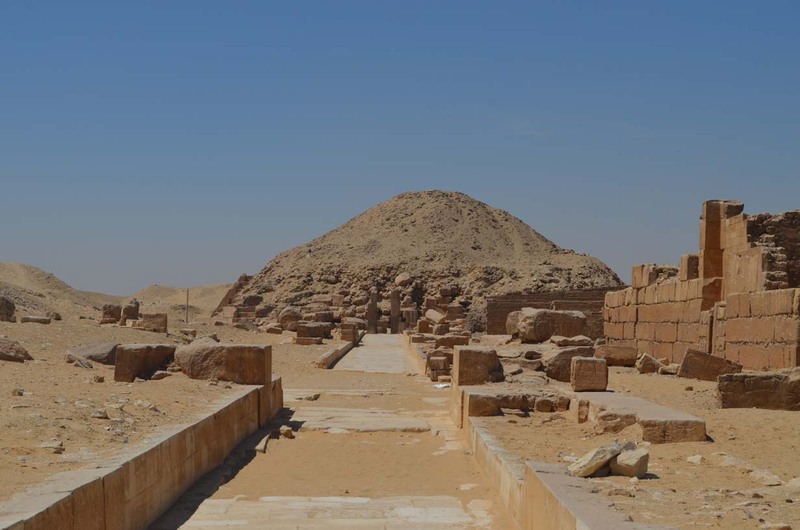 The funerary temple included a courtyard surrounded by granite pillars and was decorated with elegant bas-reliefs. 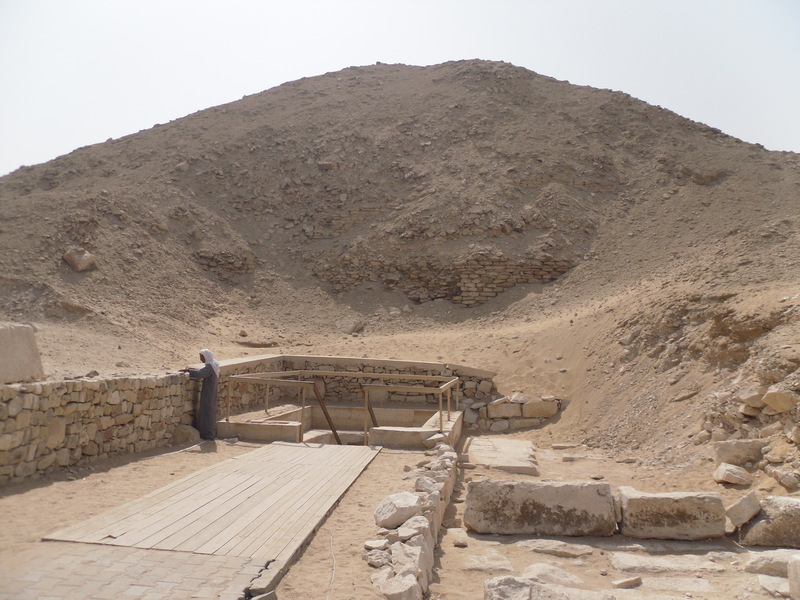 Inside the courtyard a red granite head of Userkaf was found in 1926 by Cecil M. Firth. 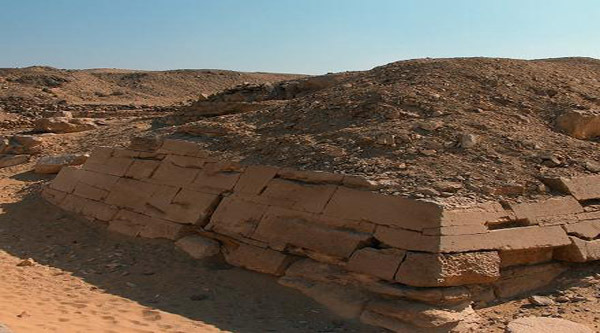 The majority of the causeway and the valley temple have not still been discovered.